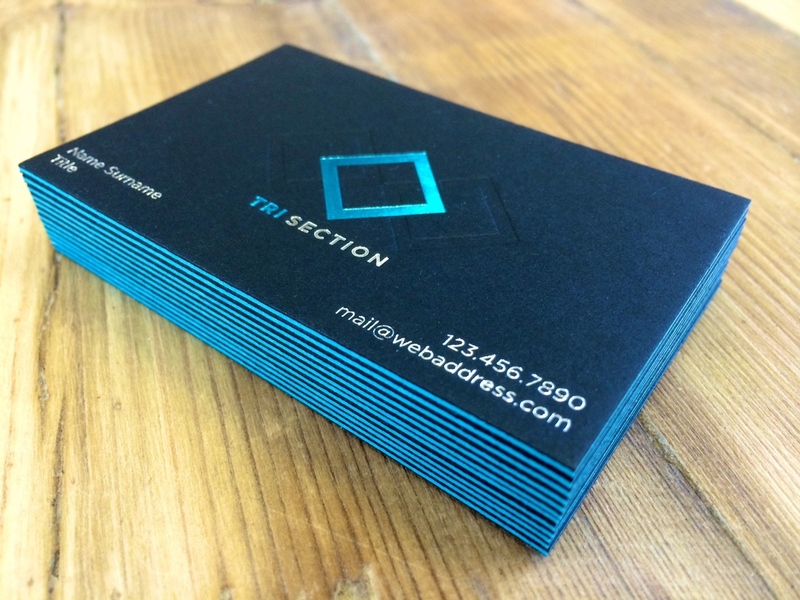 Say hello to the latest addition to our range of innovative business cards. Letterpress. Printed by hand using traditional artisanal techniques, there’s no automation and no compromise. Each ink is gently embedded into the subtly textured surface. A seam of colour runs through the centre of the card, adding a unique finishing touch. We first etch the artwork into a metal block. We then use this to gently embed each ink, one at a time, into the surface of the stock. 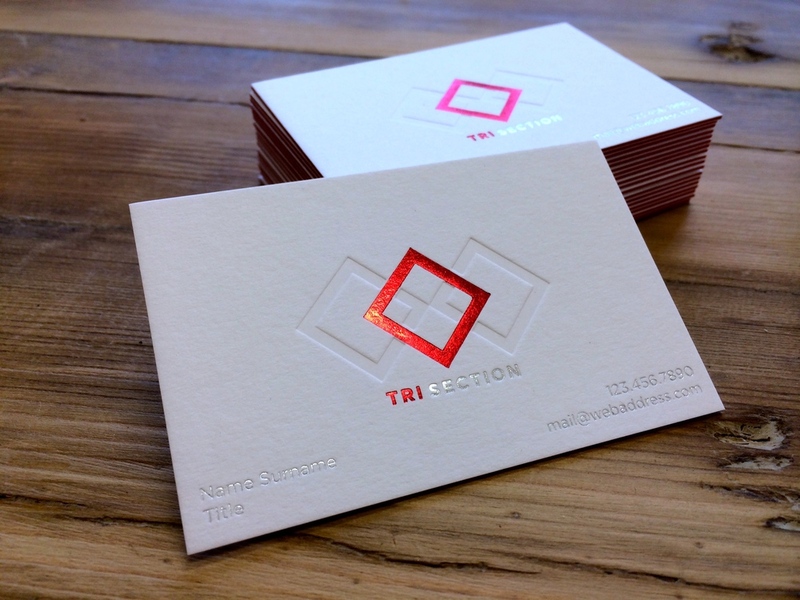 This gives a uniquely visual and tactile interest to the business card quite unlike that found with any other sort of production technique. Nine vibrant core colours are available as standard. This seam of colour running through the centre of the stock is visible when viewing the edge of the card. The core is sandwiched between a choice of white or black stock. 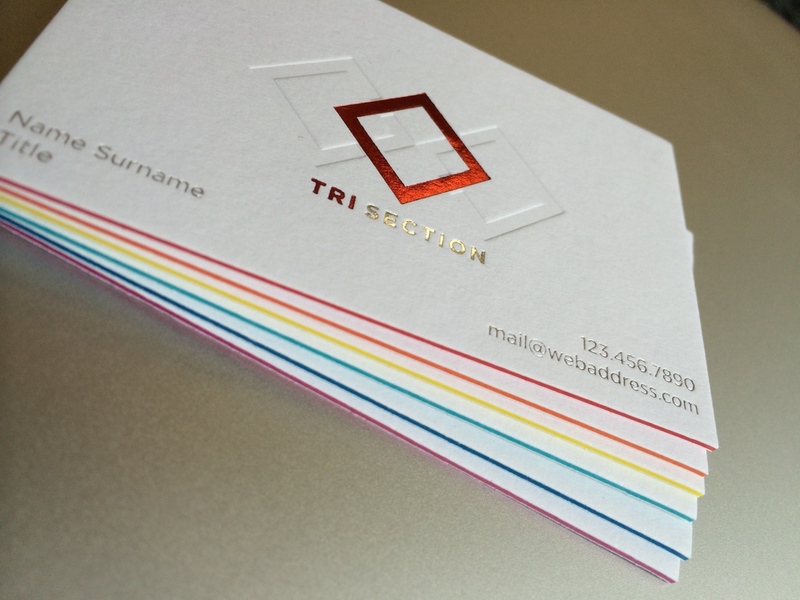 We’re able to apply stunning metallic inks to the gently textured surface of the card. Our carefully selected range of metallic colours are vibrant and eyecatching. On orders of 1000 cards or more we’re able to customise the shades used for each of the cards three layers at no extra cost. A total of 40 different colours are available, giving 64,000 possible combinations to choose from. As well as being fully recyclable and biodegradable, the pulp used when producing the board for our letterpress cards is sourced from managed forests. Older PostA New Look. A More Friendly User Experience.